Big news for two regional airlines today. First, Northwest Airlines announced a new ten-year deal with Pinnacle. (PNCL:Nasdaq) Even though the deal will see Pinnacle get lower margin rates for its flying for Northwest, the pluses here easily outdistance the negatives. 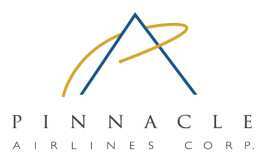 One, the deal keeps Pinnacle as a Northwest partner flying as Northwest Airlink. Maybe more importantly, however, Northwest gave Pinnacle the right to fly for other carriers. The agreement will allow Pinnacle to fly aircraft with up to 76 seats, above the previous 56-seat limit. It also lets Pinnacle fly for other carriers, except into and out of Northwest’s hub cities of Minneapolis-St. Paul, Detroit and Memphis. Pinnacle also receives an unsecured claim of $377.5 million, in settlement of all pre-bankruptcy claims against Northwest. 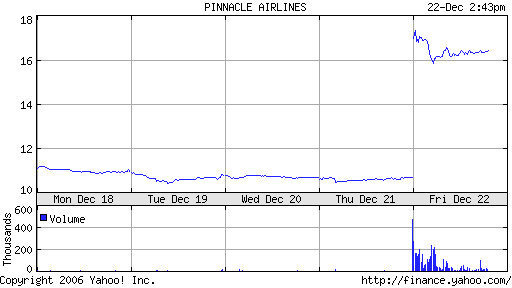 In return, Pinnacle will take an 8% margin and give up any fuel-surcharge revenue to Northwest. In addition, Pinnacle will also redeem its Class A preferred shares held by Northwest for $20 million, eliminating Northwest’s right to name two directors and dictate the size of Pinnacle’s board. The news, in conjunction with a couple of nice analyst comments, caused shares of Pinnacle’s stock to soar earlier today, and as of this writing it is now up 54% on the day. Nice chart, as you can see below. In other news, those of you who are subscribers to PBB may recall that I talked this quarter after SkyWest (SKYW:Nasdaq) announced earnings that I thought we’d hear about a new contract for the airline sooner than later. Well, it took a bit longer than I had expected, but today Midwest Airlines announced a new contract with SkyWest to fly 50-seat regional jets. Not only was this a nice win for SkyWest. This contract is also notable for another reason. 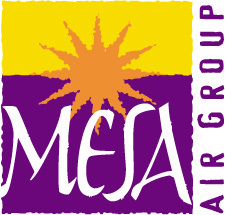 Mesa Air Group (MESA:Nasdaq) was aggressively trying to snare this one. Midwest said SkyWest, flying as Midwest Connect, will operate a minimum of 15 and up to 25 Canadair Regional Jets for Midwest for five years under the pact. The flying is scheduled to begin in April. Maybe it was just me, but I found this particular paragraph in the Midwest announcement interesting. “We chose SkyWest because of their experience, their excellent record of operational performance, and a commitment to customer service that mirrors that of Midwest,” said Scott R. Dickson, Midwest Airlines senior vice president and chief marketing officer. A not-so-thinly-veiled sharp stick in the eye to an airline we all know, maybe? Speaking of Mesa, the airline announced a joint venture agreement with Chinese airline Shenzhen Airlines this week. The new airline (name not yet decided but we figure it should be China 5-0) is expected to start scheduled services within 12 months, initially operating 50-seat regional jets on domestic routes within the People’s Republic of China. This is great. But I’d be happier for Mesa stockholders if I heard good news about improvements in Mesa’s domestic operations. Something about “sticking to your knitting” before you go off and tackle a new project. I think the loss of the Midwest contract is yet another indicator that Mesa needs to get its domestic house in order. Sooner rather than later. Oh, one other note about Mesa. The flight attendants there have asked for help from the National Mediation Board, as negotiations between the airline and the flight attendant union are not progressing. The flight attendants are not a particularly happy bunch there right now. That rather non-existent health insurance Mesa now provides its employees (the one we gave them a BuzzBomb for) is one reason. Ho Ho Ho. Merry Christmas. This entry was posted in PlaneBriefs on December 22, 2006 by Holly.